The military commander-in-chief was the king himself, the tlatoani. The Aztecs engaged in warfare (yaoyotl) to acquire territory, resources, quash rebellions, and to collect sacrificial victims to honour their gods. Warfare was a fundamental part of Aztec culture with all males expected to actively participate and battle, referred to in Nahuatl poetry as ‘the song of shields’, was regarded as a perpetual religious and political necessity. The Aztecs were so accomplished in combat that they eventually forged an empire which covered 200,000 square kilometres and, at the height of their power, they extracted tribute from 371 city-states across 38 provinces. The Aztecs believed that the god of the sun and war Huitzilopochtli had been fully armed and ready for war from the very moment of his birth from his mother Coatlicue. Indeed, the first act of this blood-thirsty war god was to kill without mercy his rebellious sister Coyolxauhqui and his 400 siblings, the Centzonhuitznahuac and Centzonmimizcoa. In mythology, the dismembered bodies of Coyolxauhqui and the 400 became the moon and stars respectively. 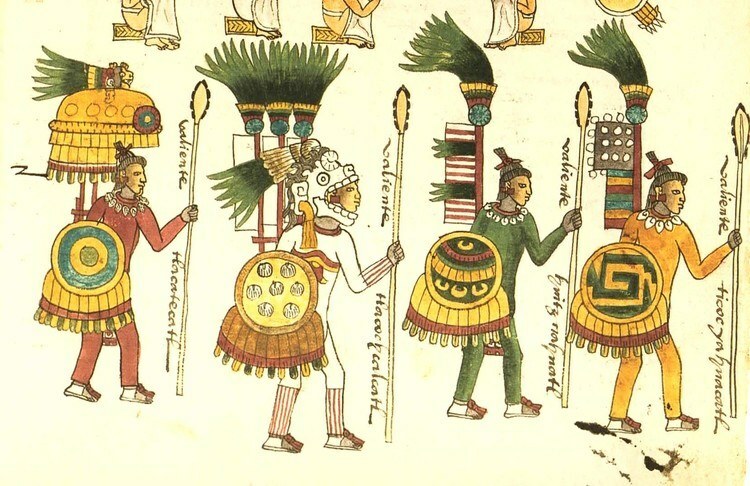 That warfare was an everyday reality is reflected in the Aztec belief that the conflict between Huitzilopochtli and his siblings re-occurred every day, symbolised by the contest between sun and moon each 24 hours. Further, that war was glorified is evidenced in the belief that fallen warriors accompanied the sun on his daily journey and later returned to earth as hummingbirds. Human sacrifices were regularly made to Huitzilopochtli at his temple atop the great pyramid, the Templo Mayor, at the Aztec capital Tenochtitlan. One of the most important such sacrificial ceremonies was held on the winter solstice, the traditional beginning of the campaign season. The military commander-in-chief was the king himself, the tlatoani. He was assisted by his second-in-command, who had the title cihuacoatl. Joining these two in a war council were four more of the highest ranking nobles, typically relatives of the king. These four had the titles of tlacochcalcatl, tlaccetacatl, tillancalqui, and etzhuanhuanco. Reporting to the council were diverse units of warriors with varying levels of status, although it is important to note that brave and able soldiers could certainly climb through the ranks if they took a specific number of captives. Aztec symbols of rank included the right to wear certain feather headdresses, cloaks, and jewellery – lip, nose, and ear-plugs. Officers also wore large ensigns of reeds and feathers which towered above their shoulders. The most prestigious units were the cuauhchique or ‘shaved ones’ and the otontinor ‘otomies’. These two elite units could only be joined by warriors who had displayed no fewer than 20 acts of bravery in battle and were already members of the prestigious jaguar and eagle warrior groups. Even the lowest ranks could win through valour privileges, such as the right to eat in the royal palaces, have concubines, and drink pulque beer in public. Warriors were trained from a young age in special military compounds where children learnt to master weapons and tactics and where they were regaled with tales of battle from veteran warriors. Youths also accompanied the Aztec army on campaign, acting as baggage handlers, and when they finally became warriors and took their first captive, they could at last cut off the piochtli hair lock at the back of their necks which they had worn since the age of ten. Boys were now men and ready to fulfil their purpose: to die gloriously in battle and return as hummingbirds. far off I see it: my heart yearns for it! The Aztecs did not have a permanent or standing army but called up warriors when required. Each town was required to provide a complement of 400 men for campaigns, during which they would remain as a unit led by one of their own senior warriors and march under their own standard but also be a part of a larger group of 8,000 men. As many as 25 such divisions, or 200,000 men, could be mobilized for a large-scale campaign. Besides men, towns also had to provide supplies such as maize, beans, and salt, which would be carried on campaign by the baggage handlers. On the march the army was preceded by scouts, easily recognised by their yellow face-paint and conch-shell trumpets, and priests, who bore images of Huitzilopochtli. The main body of the army, often stretching some 25 kilometres along narrow trails, had the elite units leading from the front. Next came ordinary units from each of the empire’s allies, starting with the armies of Tenochtitlan, and finally, the troops acquired from tribute quotas brought up the rear. When necessary, camps were simple affairs with reed mat shelters for the elite and the open-air for ordinary troops. Aztec warriors, who were taught from childhood in weapons handling, were expert users of clubs, bows, spears, and darts. Protection from the enemy was provided via round shields (chimalli) and, more rarely, helmets. Clubs or swords (macuahuitl) were studded with fragile but super-sharp obsidian blades. Spears were short and used for jabbing and stabbing the enemy at close quarters. The atlatl was a dart-throwing device made of wood, and using one, an experienced warrior could direct accurate and deadly darts (mitl) or javelins (tlacochtli) while remaining a safe distance from the enemy or during the first stage of battle when the two armies lined up facing each other. Shields of wood or reeds were made more resistant with leather additions and decorated with heraldic designs such as birds, geometric shapes, and butterflies. Elite warriors could wear leather helmets, elaborately carved with symbols of their rank and unit. Body armour (ichcahuipilli) was also worn and made from quilted cotton which was soaked in salt water to make the garment stiffer and more resistant to enemy blows. There was no uniform as such, but ordinary warriors wore a simple tunic over a loincloth and wore war-paints. Elite warriors were much more impressively decked out with exotic feathers and animal skins. 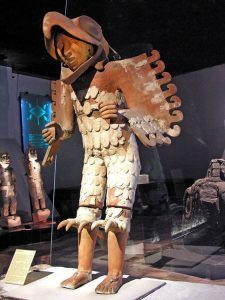 The Jaguar warriors wore jaguar skins and helmets with fangs, whilst the eagle warriors were dressed for battle in feathered suits complete with talons and a beaked helmet. Usually campaigns began in order to redress a wrong such as the murder of traders, the refusal to give tribute, or failure to send representatives to important ceremonies at Tenochtitlan. 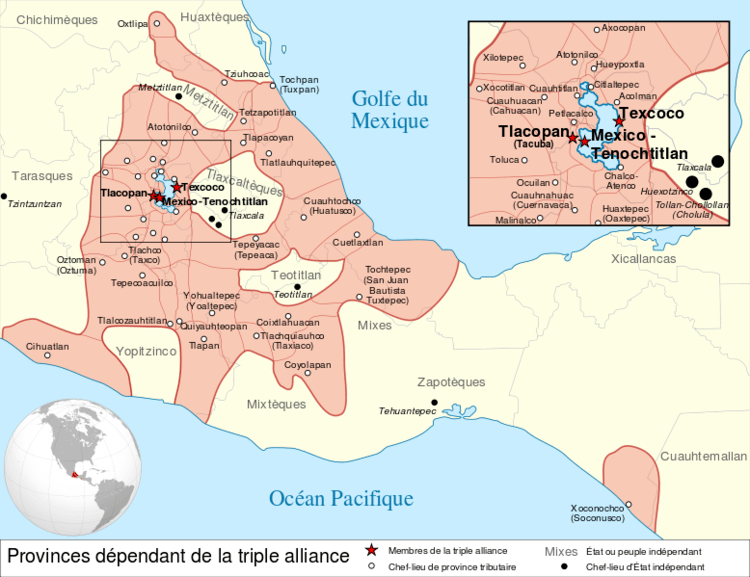 The Aztecs also sought to create a buffer zone between their empire and neighbouring states. These areas were treated slightly better, allowed greater autonomy and were obliged to give less tribute. Yet another reason for war was the Coronation Wars. These were traditional campaigns whereby a new Aztec tlatoani proved his worth following his accession by conquering regions and acquiring tribute and prisoners for sacrifice. Actual fighting was usually preceded by diplomatic missions where ambassadors (quauhquauhnochtzin) reminded of the price of defeat in battle and attempted to persuade a peaceful alternative of reasonable tribute and acceptance of the supremacy of the Aztec gods. Additionally, spies (quimichtin or ‘mice’) could be sent into the target area disguised as merchants and dressed in local costume. If, upon the failure of diplomacy, war was still necessary and the defending army was defeated, then the principal city was sacked and the whole region considered conquered. where princes are smashed to bits. On the battlefield, usually a plain, combat was typically preceded by both armies facing each other with much shouting, posturing, and the beating of drums and blowing of conch-shell trumpets and bone flutes. Leaders positioned troops to best take advantage of local geographical features, and they led from the front and very much by example, throwing themselves into the battle. As the two armies faced off, heavy stones were thrown and followed by a more deadly volley of darts. Then came a bloody hand-to-hand combat, where the obsidian-bladed spears and clubs slashed the enemy creating fearsome wounds. Here all order was lost and battle became a series of independent duels where warriors tried to capture their opponent alive. Indeed, assistants with ropes followed the fighting in order to immediately truss up the vanquished for later sacrifice. Ruse tactics could also be employed, such as pretending to flee the battlefield or hiding in covered trenches in order to ambush enemy troops. Victory conventionally came when the enemy’s main temple had been sacked. The discipline and sheer ferocity of the Aztec warriors was usually far superior to that of the enemy and ensured success after success across ancient Mexico. Besides the desire for new territory and war-booty, the Aztecs very often specifically went on campaign in order to acquire sacrificial victims. Indeed, both sides agreed to the battle beforehand, agreeing that the losers would provide warriors for sacrifice. The Aztecs believed that the blood of sacrificial victims, especially of brave warriors, fed the god Huitzilopochtli. Taken as captives after battles, the victims had their hearts removed and the corpse was skinned, dismembered and decapitated. These campaigns were known as xochiyaoyotl or a ‘flowery war’ because the victims were defeated warriors who were trussed up, and with their splendid feather war costumes, looked like flowers as they were unceremoniously transported back to Tenochtitlan. One Aztec general, named Tlacaelel, likened this process to shopping in a market and stated that the victims should be as easy to pick up as tortillas. A favourite hunting ground for these military expeditions was the eastern Tlaxcala state and cities such as Atlixco, Huexotzingo and Cholula. The earliest known example of a xochiyaoyotl was in 1376 CE against the Chalca, a conflict which, perhaps unsurprisingly, developed into a full-scale war. Generally speaking, though, the intention was only to take a sufficient number of victims and not to start all-out hostilities; for this reason many Aztec campaigns were not decisive engagements aimed at territorial control. Nevertheless, the flower wars must have reminded who the rulers were and may also have served as a regular pruning of opposition military power. First and foremost, successful warfare brought the Aztecs new territory and secured and extended their lucrative trade network. Parcels of land were also distributed to nobles and elite warriors. Defeat did not necessarily mean the end of the vanquished’s way of life, for conquered rulers were very often left in power, although sometimes populations were massacred and children relocated and dispersed in other communities. Generally, the real price of defeat was essentially agreements to pay regular tributes in both goods and people to their new masters. Tribute could be in the form of slaves, military service, gold dust, precious jewellery, metals, blankets, clothes, cotton, exotic feathers, shields, cochineal dye, rubber, shells, grain, chillies, chocolate beans (cacao), and salt. Curiously, the Aztecs also took away statues and idols, especially religiously important ones. These ‘captives’ were symbolically held at Tenochtitlan and illustrated that the new masters controlled not only a people’s territory but now also their religion and ideas. The Aztecs were very successful in conquering neighbouring territories, especially during the reigns of Moctezuma I, Ahuitzotl, and Moctezuma II (Montezuma), but they did occasionally suffer defeats. One of the worst of these was against their long-time enemies, the Tarascans, in 1479 CE when an army of 32,000 led by Axayacatl was wiped out in two engagements near Taximaloyan. The Aztecs were also constantly having to put down rebellions, and these conquered peoples were often all too happy to side with the European invaders when they came in 1519 CE. Scholars have also noted that the way Aztec warfare was conducted – pre-battle diplomacy, the absence of surprise attack, and especially the lack of a need to completely destroy the enemy – gave the more direct Spanish conquistadores a distinct advantage when they sought to colonize ancient Mexico. Token victories such as the flower wars were not part of the military vocabulary of the European invaders, and the battle for Mesoamerica was, then, perhaps the Aztecs’ first and last experience of total war. Coe, M.D. 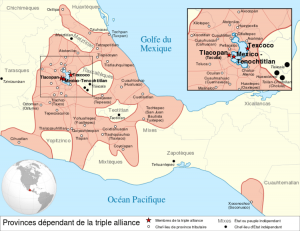 Mexico: From the Olmecs to the Aztecs. (Thames & Hudson, 2013). McEwan, C. Moctezuma: Aztec Ruler. (British Museum Press, 2009). 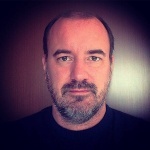 Nichols, D.L. The Oxford Handbook of Mesoamerican Archaeology. (Oxford University Press, 2012). Phillips, C. The Illustrated Encyclopedia of the Aztec & Maya & Central America – Including The Aztec. (Lorenz Books, 2007). Soustelle, J. Daily Life of the Aztecs on the Eve of the Spanish Conquest. (Stanford University Press, 1961). This entry was posted in Aztec, History, Mesoamerica, Warfare. Bookmark the permalink.